Started working on this in last month with Shilpa. When initial started working on this script, found it bit difficult. But Odia script is very similar with Devanagari and over the time found comfort with it. Shilpa did most of the work and i did verification and fixed few issues. One thing again i noticed during release is using of AFDKO. It is good and we should use AFDKO fully in Lohit project for better quality. Will see if we can do it in long term. Open type rules are available in .fea file for easy re-usability. Feature file compiled with AFDKO. Supports 'orya' and 'ory2' opentype specifications tag. Developer friendly glyphs names with AGL syntax format. Corrected glyph class for all glyphs. Added Glyph positioning rules for below based matras. Test file available with release tarball. Update Lohit project page for information regarding download. During release i found few issues which are noted in TODO file. Will fix them before next release. If you find any issue do report on github. Also note TTF file available on my fedorapeople page. I remember in FUEL conference i got some improvement suggestions. Couple of them were related to adding Latin to Odia fonts. Presently dont have resource for same but looking forward to solve it in future. Get ready for FudCon 2015, its going to happen in Pune, India. Excited for this. Recently we organized Fedora release party At Mumbai  and i found truly Fedora lover there. One word i said them most probably FudCon will happen in Pune this time and looking forward to see you all there. Its actually going to happen now and time for gathering together. With the power of collaboration and Free and open source technologies making Fedora better and better. If you are interested in getting involved in FudCon 2015 activities do join fedora-Iindia mailing list and ask on #fedora-india @Freenode if any further queries. This blog was pending on me from long time. 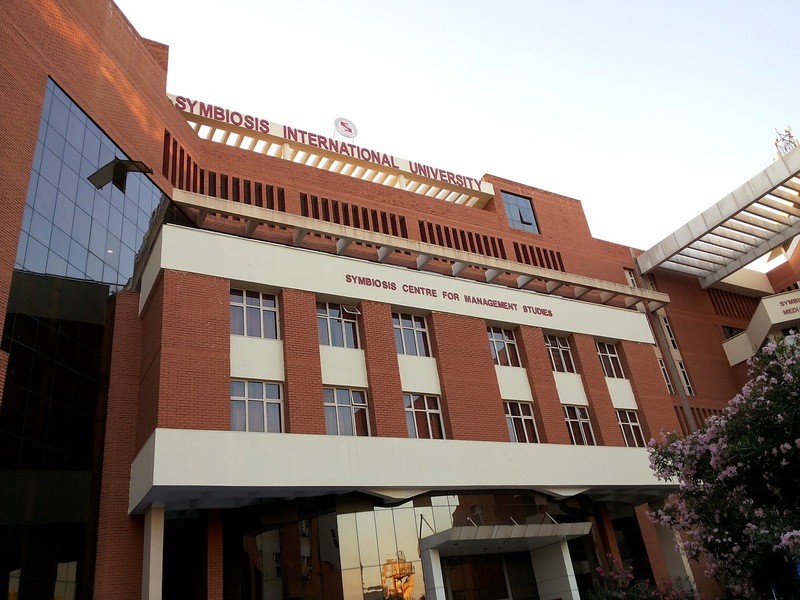 I got a chance to attend typoday.in 2014 conference At Symbiosis International University, Viman Nagar, Pune in February. This was the my second conference specifically on typography domain after National workshop on calligraphy and typography in 2007. 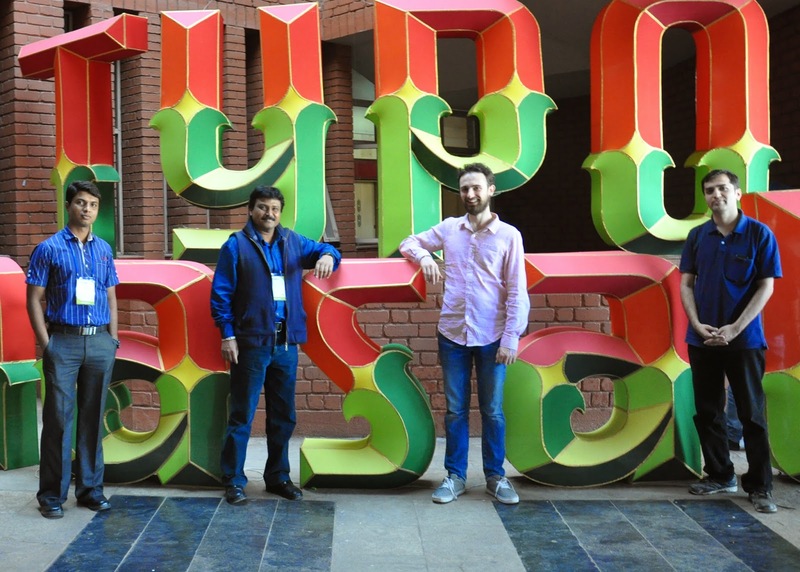 It was great to meet typography domain experts and also students with excellent research on different topics. I got a chance to meet Kishor Patil (GIST, CDAC), Achyut Palav, Dave Crossland, Girish Dalvi (IITB), Adam Twardoch (Fontlab), Sarag Kulkarni, Prof. Santosh Kshirsagar (Sir J. J. Institute of Applied Art, Mumbai) and Prof. Manohar Desai (Head, Communication Design, Symbiosis Institute of Design). We had a good discussion on Devanagari script standardization with Girish Dalvi, Dave and Kishor Patil. There was few improvements suggested in Lohit but as a system default font we cant do certain changes without proper references. Girish pointed out there is already discussion happening At Maharashtra state government and soon something will happen. Also Dave shared number of things on his plans for commissioning Devanagari typefaces in coming years. It excited number of typographer around. We had expert from Adobe, Fontlab there. There was workshop from Fontlab after the conference specifically for students, i did not attended it due to some other work. We also had discussion on Google Noto fonts and Lohit2 project. 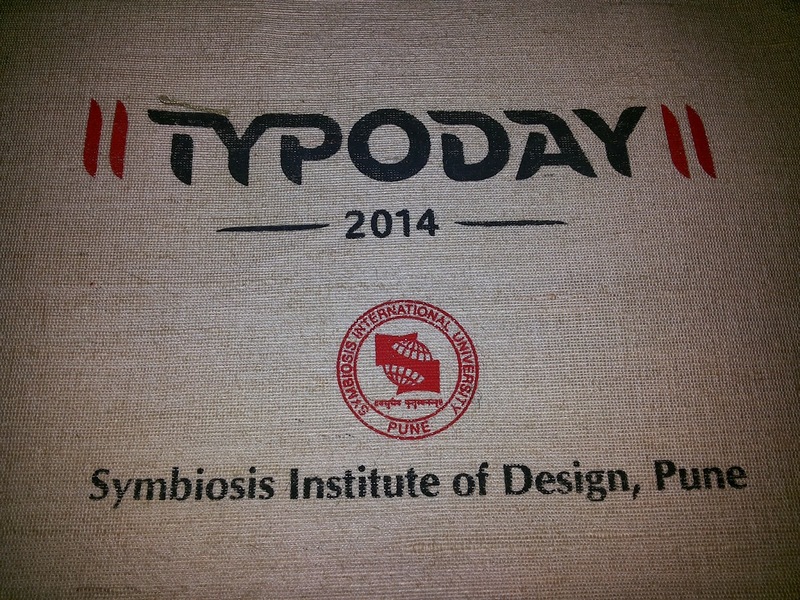 Overall it was good experience of attending typoday conference. There were number of interesting topics but few i noted were "Sensory Experiences in Typography", Matilda A Typeface for Children's with Low Vision. There was number of interesting posters available. Looking forward for attending typoday 2015 and learn new things.